September means that South Florida kids are back to school. For parents everywhere, this often means shelling out a week’s worth of wages on pencils, backpacks, shoes, and clothes. It can also mean that your family’s schedule will shift significantly and it is an ideal time to revisit your plan for home safety and security. Many children of working parents walk home alone or enter an empty house. In these cases, it’s especially important to go over some back-to-school security tips. Having an open dialogue with your children about rules, expectations, and safety can make this transition safer and make both you and your children feel more comfortable. Will your child be leaving or coming home from school alone? It is important that you know where you and your child will be before, during, and after school. Make sure that they let you know when they arrive at school or home. A quick thumbs up text lets you know they’re safe. Make sure your children know their home address, home number, parents’ cell phone numbers, and the number of a neighbor, family member, or trusted family friend who can serve as an emergency contact if you are unavailable. Also, make sure they know how to use 911 in case of an emergency. Make sure your kids know how to lock and unlock the doors. Also, reinforce that they are not to open the door — even for deliveries or mail. If need be, only speak to visitors through the front door and never open it or let anyone know — at the door or on the phone — that they are home alone. This may seem like common sense, but if you haven’t discussed it, don’t assume your children know. Consider using an alarm system that alerts you when children come home from school and punch in their code. Additionally, depending on what type of home security system you have, you can set up sensors on sensitive areas in the house such as gun or liquor cabinets and monitor your home via a video monitoring system. 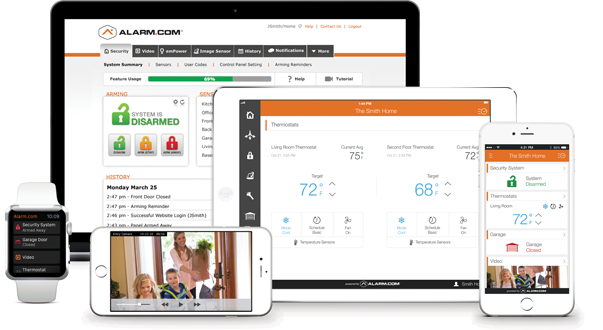 Teach your children how to properly arm and disarm the security system. Show them how to hit the panic button and discuss what to do in case of an emergency. Talk about the burglar, smoke, fire, and carbon monoxide alarms and discuss what to do if one of them goes off. Talk about what children will do in the afternoon and establish rules and expectations. For instance, homework should be done before any screen time. Or no using the stove or fireplace when home alone, and no visitors or playing outside until parents are home. Make sure your children know that their safety is your priority. They should know that even if you are at work they can call you for help. They should know that if they feel uncomfortable, unsafe, bullied or abused at school or in another activity, they can come to you and you will listen to them and be their advocate. If you want to upgrade your family’s security, contact us today at 305-667-0444 or info@circlesecuritysolutions.com.